The Sentinel Carbon GX is a workhorse spec that gives you all the important parts you need on a carbon frameset. For suspension, you get a similar Fox DPX2 Performance rear shock found on our XO1 build kit as well as the always impressive Fox 36 with the new Grip damper. For the drivetrain, 12spd GX Eagle has a massive range (50-10 tooth) for getting you up super steep climbs. 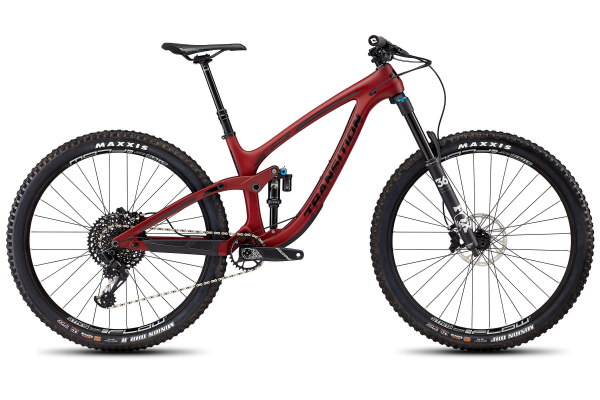 The build continues to punch above its weight class by offering 4 piston Code R brakes for superior stopping power and fade resistance, Stans Flow S1 comp complete wheelset, and our favorite 3C Maxxis Minion tires.